As you may know, I am a BIG fan of cutting metal on my Shapeoko 3, but almost immediately after receiving my S3 (October 2015), I realized that the Z Axis plate was not going to be able to take the stress of cutting metal greater then about 0.010" deep. In fact, traveling along the Y Axis, my machine develop a harmonic pogo effect causing the spindle to jump nearly a 16th of an inch, and then destroy the end mill. Unfortunately there didn’t appear to be any off-the-shelf option to fix this problem, and since I spent most of my life as a mechanical engineer, I felt comfortable in tackling a fix. Here is what I came up with. When Carbide3D released some early CAD picture of the new XL/XXL and I noticed that the spindle was mounted higher, and the Z Plate was shorter, I HAD to get my hands on this new plate. I begged and pleaded for and finally received the new plate for testing, and testing I did. The fact that the spindle is now mounted BETWEEN the V-Wheels, made all the difference. It removed the lever that would bend the X plate and with it, removed the harmonics that allowed the X plate to vibrate. Now please understand, if you place your end mill out too far, you will still develop a vibration, FROM the END MILL, but not from the machine. Overall I am very pleased with the results and have been able to take depth of cut (DOC) far greater that I have ever been able to with my personal upgrade (Today I took 0.100" DOC at 25 inches a minute. Check out my Instagram for a short video, with sound (IG: JPL_Richard), Now since the Z is belt driven with a narrow belt it is now possible to stretch the belt and as a result, I was seeing some slight variation in my Z depth (up to 0.003"). The fix, is to take a light finish cut (which is good practice, and a Fusion 360 default). The following are some photos of this upgrade. New (Motor Plate) on the Left, Old on the Right. What needs to be moved: 4 V-Wheels, 2 Springs, and the stationary Belt Pulley and the 2 Guides. Connecting Rod (with 0.001 Press Fit Bearing Bores) and 1/2 of the Connecting Rod with adjustable stroke slot. Yup, that’s nearly 15 pounds of Aluminum chips, ready for recycling. In the meantime. Anyone in Europe interested in combining our orders to reduce shipping? How to tension the belt with a older version of So3 an a update version of z plate? I just did the upgrade but my belt is loose. And i don`t see where i can adjust. By moving the Z Motor up. The motor is already in the maximum that i can pull up. and is too loose to adjust just with the motor. Well I doubt that your belt is longer then mine (or the rest of the people who upgraded) so I’d look t your routing again to see if it slipped off something.) Sorry but that’s all I can think as a possible fix. Anyone else have a similar problem? Anyone know why SDP-SI doesn’t carry 520mm endless GT2? but not finding anything else. HI, my belt is 520GT2 already. I`m attaching some photos to see if you can help find that everything is mounted correctly. I will review if i missing something too. Thanks all for the answer. Do I have to change anything on carbide motion, after this upgrade? The Shapeoko 3 uses GT2 belts for all axes. 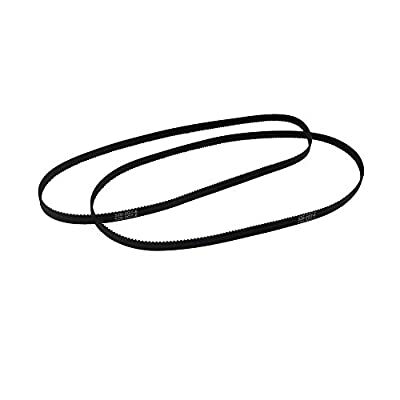 This particular line of Gates belts is designed for power transmission and precise positioning and easily exceeds in specification the typical operational loads for the machine. For the Z-axis you’ll need to cut steps into a block and measure the steps. The wedge is a simple ellipse with a GT2 tooth pattern to help lock it into place. You don’t want it to slip around or fall out. Once installed it makes the belt just loose enough to get the Z plate on with a bit of effort. It has worked well for me. STL attached. I received my Z upgrade plate today and fitted it - what a difference it makes - allot of wobble has disappeared and the additional height is crazy! I’d just like to chime in here that the Z-axis rail mount plate has been updated and now includes a small part which is inserted (press-fit?) 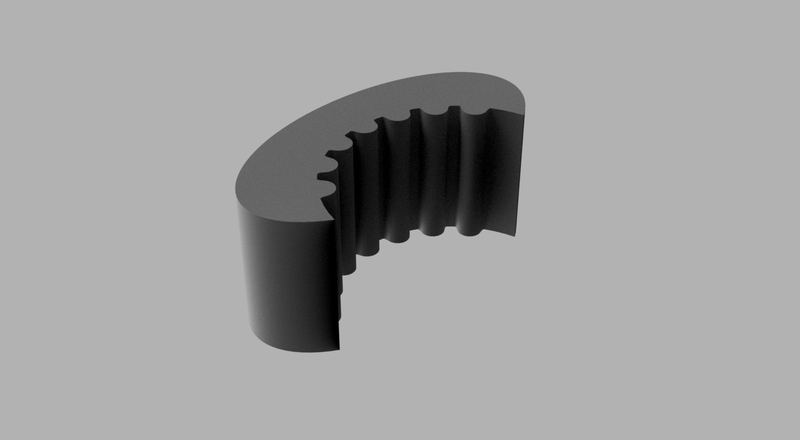 and which provides M4 threads at 90 degrees so that an M4 SHCS can be used to tension the flanged bearing belt idler by pressing against its aluminum spacer. Not sure how to work all that out on the wiki — I’m leaning towards segregating all mentions of the older style parts to a single page so as to present everything neatly for only the current and forward machines — can’t imagine that there’s much else which could be affordably / reasonably improved upon for them (though I’d love to see be proved wrong). What a bummer. I just ordered the upgraded Z-plate (received today) and didn’t get this new part. Do you have a picture of this new part, so I can double-check my package for it? The part is inserted onto the other plate — I don’t think it can be sent separately w/o replacing the other plate — it’s not a normal part of the upgrade, I was just being overly thorough and confusing matters. My apologies. If you have any difficulties making your upgrade plate work, contact support@carbide3d.com and we’ll work it out with you. Don’t have my machine on me right now (its at home I’m at college) I got mine mid summer 2016, does that mean I have this upgrade? Or did it/is it coming later. I have been trying to work with copper and aluminum, with a decent amount of success, but occasionally my z axis does slip, and it runs my part/that chunk of material. Also if I have the depth of cut too deep it shudders when moving x/y axised, but again, I assume thats mostly due to the Z plate. It doesn’t seem like I have this upgrade, but its also possible that I’m just haveing these issues because I’m a novice. 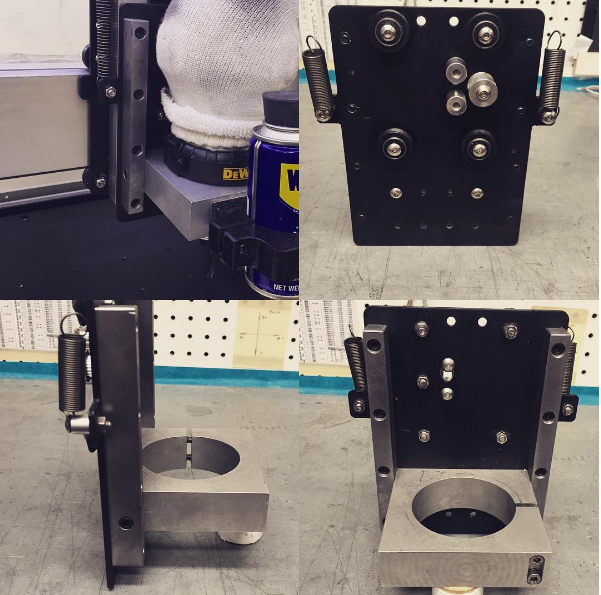 TL;DR When did/or do these better z axis plates start shipping out as part of the normal machine. I got my machine mid summer 2016, just wondering if I do have this upgrade.